There’s never a bad time to visit Jackson Hole, WY and mid-September may be the best. The summer crowds have left. The winter crowds have yet to arrive. The weather is crisp, but not yet cold. The leaves are turning colors. The wildlife is active preparing for winter and the Jackson Hole Fall Arts Festival takes over town. The perfect Western setting for Western art. “When you arrive in Jackson Hole, you’re greeted with signs that read, ‘Howdy stranger, yonder is Jackson Hole, the last of the Old West,’ and this sentiment rings true throughout the town,” Madison Webb, auction coordinator for the Jackson Hole Art Auction, said. “Selling Western art in a uniquely and undeniably Western locale adds a legitimacy to the pieces, and also places them before an audience that is already enamored with the Old West. 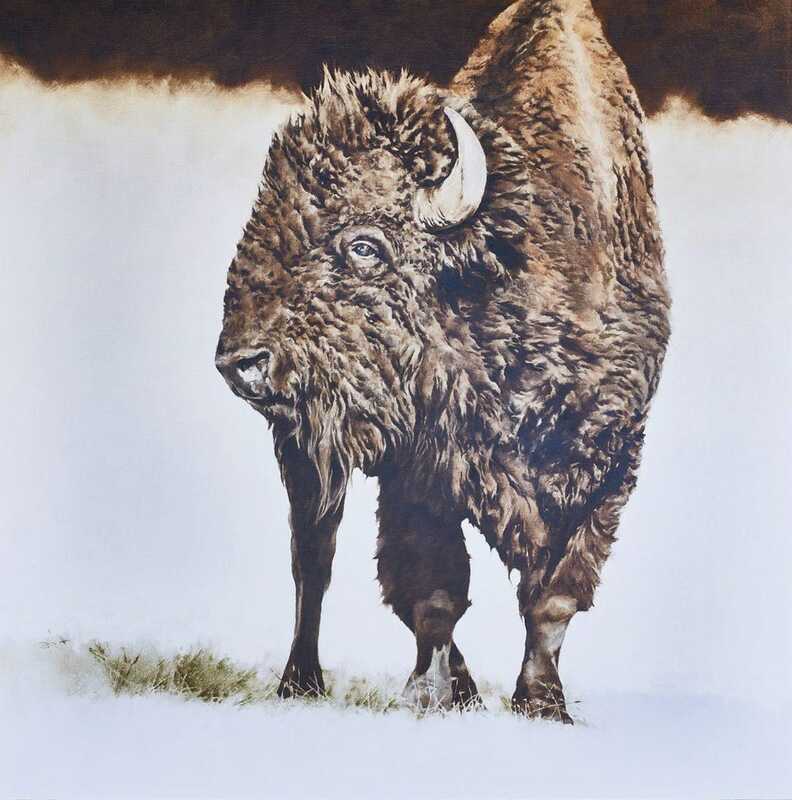 The Jackson Hole Art Auction, taking place this Friday and Saturday, doesn’t have the auction market cornered in Jackson Hole this week as the National Museum of Wildlife Art will be hosting its 31st annual Western Visions show and sale this Friday as well. The Jackson Hole Fall Arts Festival began last week and continues through this Sunday featuring a wide variety of events including the aforementioned auctions, rodeo, stage performances, gallery exhibits, an art fair and artistic how-to seminars to name a few. While this week serves as a high point, Jackson Hole has become an arts hot spot year round. 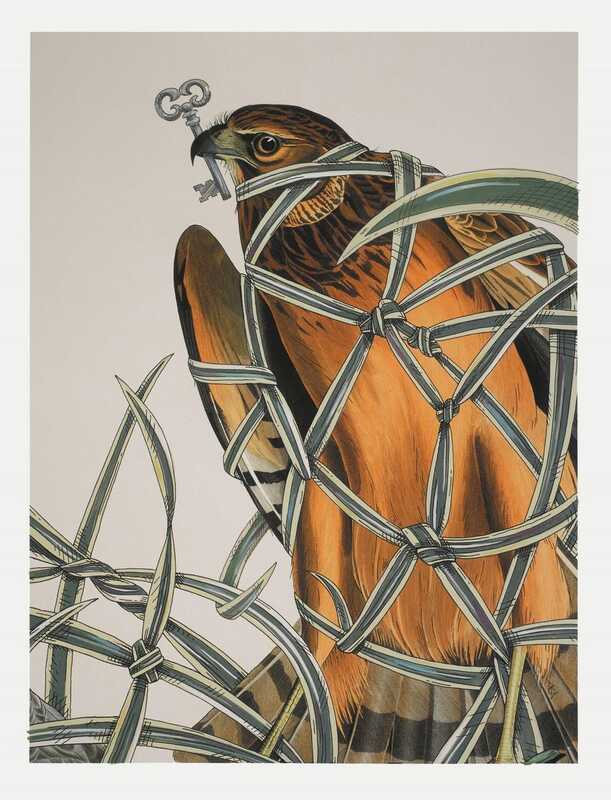 “It is amazing that in a small, remote Western town like Jackson Hole there is a world-class fine art museum, there are also a tremendous number of amazing art galleries, and thirdly, there is a very vibrant and dedicated artist community,” Goicoechea said. Adding to the buzz this year, a late addition to the Jackson Hole Art Auction from two names synonymous with Americana: John Wayne and Norman Rockwell. The two met in 1973 when Wayne visited Rockwell in his Stockbridge, MA studio to sit for a portrait. The portrait, featuring Wayne dressed in cowboy garb set against the backdrop of a mountain pasture, was commissioned by the National Cowboy Hall of Fame and Western Heritage Center and celebrated Wayne’s induction into the Hall of Great Western Performers. The 38 x 31 inch oil-on-canvas is expected to sell for over $1 million. 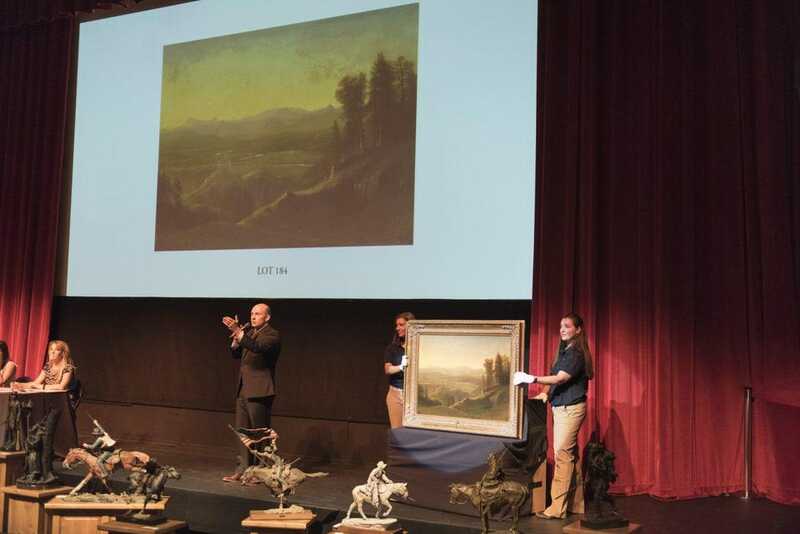 In addition to Rockwell, the Jackson Hole Art Auction also features higher-end works by titans of Western art including Albert Bierstadt, Fredric Remington and Thomas Moran. If you don’t have seven figures to spend on a painting, you’re still welcome to participate. “One of the main changes we’ve made in the last few years is the inclusion and expansion of our Session I sale, which is held on Friday (September 14),” Webb said. “Session I features high quality lower-priced inventory that is geared towards the emerging collector. John Wayne hits the sweet spot of more than one attribute which keeps attracting audiences to Western art. While the appeal of “nostalgia” remains strong, contemporary Western artists are increasingly treating traditional subjects in fresh ways.